Lemon belongs to the group of citrus fruit, which includes orange, tangerine, grapefruit and many others fruit kinds. You can buy lemon in every market, it is cheap and multipurpose. Lemons are especially useful for our health. This yellow fruit contains a lot of high quality vitamin C and other vitamins (vitamin B, riboflavin) and minerals, including potassium, calcium, phosphorus, magnesium. Lemon also contains proteins and carbohydrates. Lemon peel is very helpful, because it is rich in vitamin P, and substances capable of destroying microbes. Lemon peel contains essential oils beneficial for normal blood pressure, reduces cholesterol, prevents atherosclerosis, strengthtens the immune system, cures headaches, nausea, fatigue, improves memory and concentration. Lemon is used since ancient times because of its healing power. Experts recommend its use, because lemon can help lowering blood pressure, disposal of toxins from liver, reduces pain in arthritis, fights infections, prevents flu, fights against diseases of oral cavity and tongue, etc. Lemon is also cure for stomach ache, because of its laxative effect. It also strengthens the immune system. If you have a flu or you’re cold, you must drink lemon juice. It will help you in the fight against cold and will also stop infections development. This happens because of its antibacterial and antiviral properties. 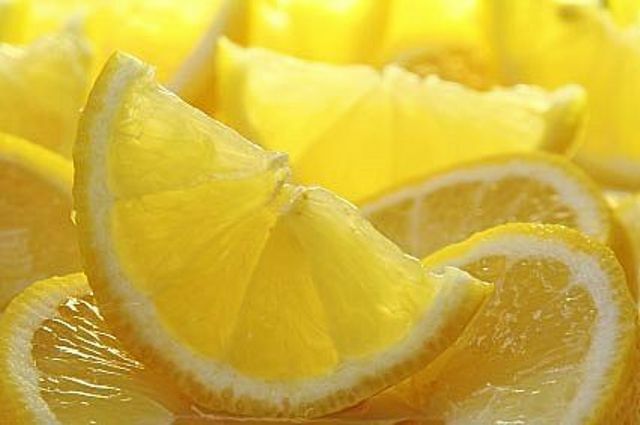 It is very simple to prepare lemon water. All you need to do is mix lemon pulp and juice of half a lemon in warm water and then drink it. Lemon water is be very helpful for your body, i.e. it can detoxify your body. Acts as blood “cleaner” and improves the ability of cleaning toxins out of our body. Your skin can not look healthy if your body is full of toxins. When your body gets rid of toxins, it will first reflect on your skin. Your skin will look clean without any visible acne. Helps with digestive problems – nausea, stomach acid, constipation and parasites and also in digestion. Due to the large amount of vitamin C, lemon water is used in treatment of infections, wounds, allergies and sore throat. Lemon water is a diuretic agent. This means it is very useful for people having urinary tract infections. Lemon water helps people with arthritis or rheumatism, because it is cleaning out toxins and bacteria. Lemon juice and water mix can be very beneficial for pregnant women, because it helps the development of baby’s bones. Calcium contained in lemon is great for bones and teeth. Lemon contains potassium, which is beneficial for the brain and nerve cells.